It’s made Accenture a better place. The learnings from this program were invaluable and I hope it is offered to as a standard practice to all women managers at Adobe. Thanks for the opportunity to participate. I have been able to develop confidence in my own abilities and value, which in turn has increased my contribution to Adobe - through increased sales results and output. Leadership Circles brought together new ideas and past experiences into one cohesive package, where I could integrate the tools in a holistic way. This really impacts the ability to achieve one’s goals. The Leadership Circles program provided an easy to implement process of visioning and goal setting that provides the structure I need personally to successfully manage my career and life. This program is one of the tools that should be used to help senior producers actually break through to the next level. I absolutely love this program. I can’t imagine unless I had one foot in the grave that I would miss one of these calls. It’s a positive commitment. Thank you for this opportunity! This workshop promotes structure to practice personal growth to return an investment of a happier “you”. This will naturally reflect in our work. The material is easy to understand and apply. It is truly life-changing. Transformational. 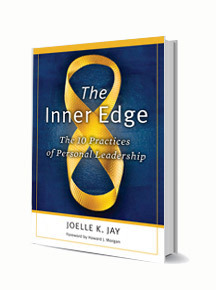 I have experienced positive results from Day One and continue to grow the concepts, digging deeper into what it means to be a leader and take charge of my life both personally and professionally. As a result of our conversation about Taking Action, I’ve decided to break up our team responsibilities and redistribute the workload. That can lead to increased production, because the calls get made faster, and we can get more done. From the production side is a win/win! It’s difficult to retain women. We need to bring women in and having women succeed. 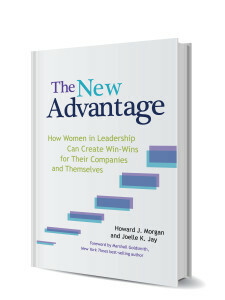 The women in this program are top producers, but there are a lot of risks in this position. Anything MetLife can do to give women added support will increase the odds of keeping them. At our annual kickoff I won the Global Leaders award. I really wanted to say thank you to you as your teachings have been phenomenal and have made such an impact and impression on me. I mentor people around the globe and I often refer to your book and principles. A BIG thank you once again and keep sharing and making such a significant contribution to women in leadership today for tomorrow. The Leadership Circles program to deliver great results for me [long after the program has ended]. I have just been offered a wonderful internal promotion which will be announced company-wide tomorrow. And so 12 months later, I’m continuing to see the benefits…as is my company. Thank you for the opportunity to participate in Leadership Circles. This company has always said that their most important asset is their employees, and now I see that's true. We will pay it forward. I was recently recognized as worldwide sales person of 2015. As I look back at my journey to see how I got here, LRI was in the top of my list. Because of the program, I found the courage to own my future and fix the things that have been holding me back. As soon as I've done that, I found more balance and focus which allowed me to be fully engaged. Leadership Circles works... It's value, its impact to my life will be something I'll be grateful for eternally.